I opened my first Family home Child Care Business in November 1998. I left a career as a Medical Assistant to stay home with my children. 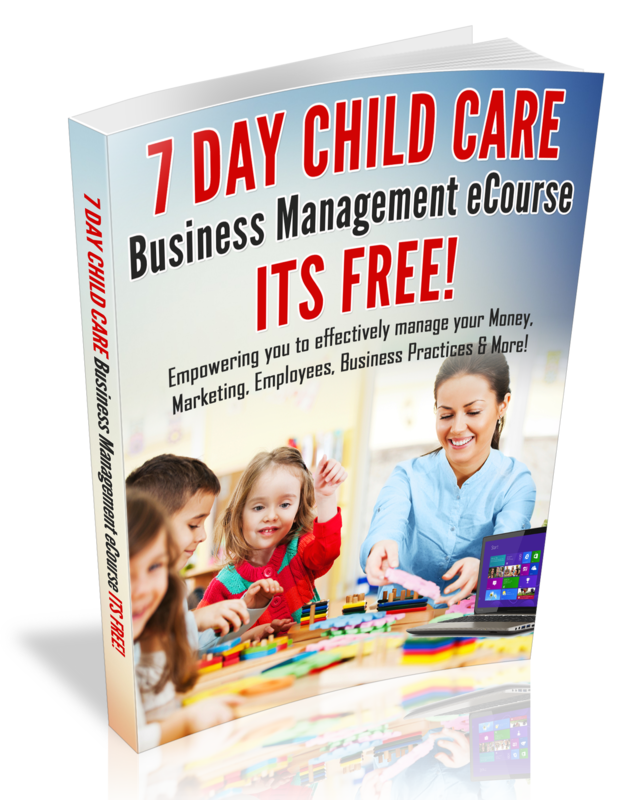 Starting a family home child care business was the perfect business for me and my family. When I started my daycare I had no prior child care experience, other than being a mom and health care experience. In fact, when I decided to stay home with my children, a representative from the local Child Daycare Association stopped by my home and gave me some daycare resources to read. After reading all the resources, I was only partially prepared for the journey as a Family Home Child Care provider. Furthermore, the first day that I opened my daycare, I was so nervous, because I realized that parents were trusting me with their Children. Not that I was wasn’t to be trusted, I just wanted to do a great job for parents!! I was determined to grow as a provider. Furthermore, I learned from other providers, I registered for college classes and I was eager to take my Business to the next level. I went from being unlicensed to a Licensed provider. Furthermore, the need in my community motivated me to grow my business from 4-to-10 children. That first year, was a very prosperous and exciting year! The year I started my first website, bought my first home computer and fax machine! This was the year I became a technology savvy Woman! This was the year that I decided to become an in-home preschool and I incorporated my business. In fact, I changed the name of my daycare from Morgan Daycare to Learning Days and I turned my whole house into a preschool. My husband had to remodel the basement, because the entire upstairs was daycare space. Then I decided to increase my knowledge and go back to school. The information that I learned while going to school caused me to want to educate more children and I decided to move the Business out of my home. The building search began! I applied for NAFCC Accreditation (as recommended by my mentor) and I began studying research based preschool curriculum programs, along with implementing developmentally appropriate practices in my daycare. After completing the self-study process, I received my NAFCC Accreditation in March of 2003; 30 days before moving into my first Child Care Center!! I was ready for expansion, because I knew I had Mastered The Business of Family Child Care. As you can see, I accomplished a lot in 4 -years and I believe that my growth was due to my willingness to seek knowledge, my commitment to professionalism and I ran the business as if it was a commercial location, along with the guidance of great mentors! In summary, knowledge is power and if you want to grow your Business, you must be willing to learn more, be teachable, stretch yourself and choose to go to another level every year that you are in business! I hope that my story has inspired you to become a Master at what you do!! Are you ready to go to another level as a Family Home Child Care provider? I invite you to join the Family Home Child Care Empowerment Club. For Expansion Coaching, contact me today!